Port of St. Helens commissioners heard frustration over "smoke stack projects," concerns about lack of jobs growth, and suggestions on how to prepare for natural disasters during a lunchtime listening session Wednesday afternoon, April 25. 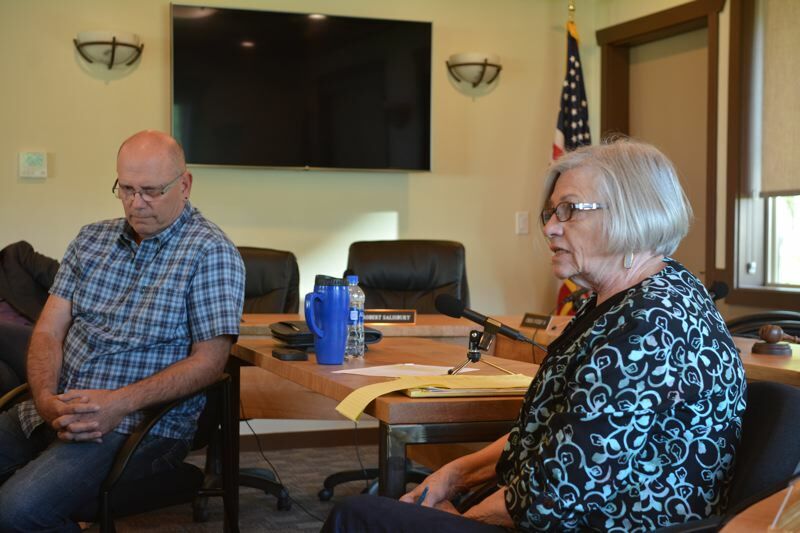 Commissioners Larry Ericksen and Paulette Lichatowich sat in for a roughly 90-minute town hall-style forum where residents could voice comments and concerns, or pitch ideas and questions about matters within the port's purview. For the most part, the two commissioners listened to fervent discussions among the session's dozen attendees who often disagreed about how to balance economic growth and jobs creation with environmental protection. 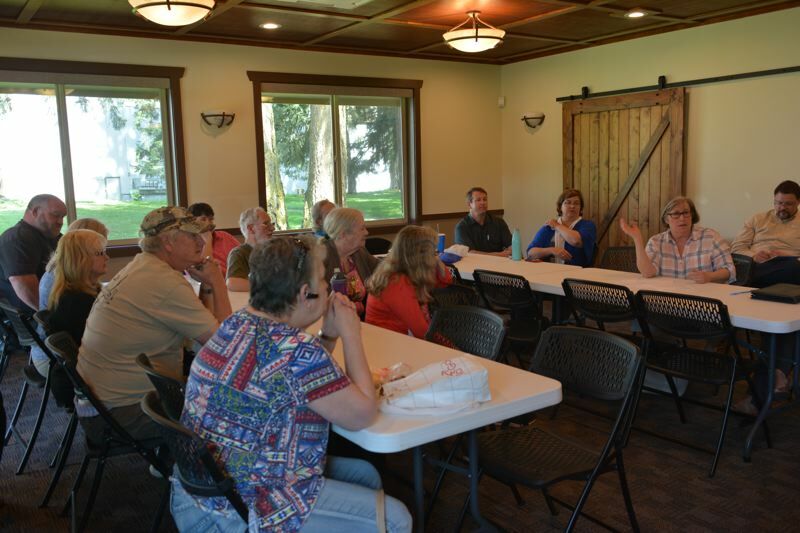 St. Helens resident Kathy Bauska said she'd like to see the Port of St. Helens engage in more community improvement projects, along the lines of those initiated by the Port of Morrow or Port of Columbia in Washington. "The port is progressive. They're active," Bauska said. "What I see this port out here doing is, dangling this carrot that is Port Westward." Bauska was met with criticism from another attendee who pointed out a much larger population and tax base in the areas Bauska cited. Tammy Maygra noted the area needs a larger tax base to pay for amenities like community centers and parks mentioned by Bauska. "We've lost all our tax base. All the big industry's gone," Maygra said. "If you want a tax base for your parks and your tourism, industry's going to pay the bills." Melinda Bernert launched her own criticism of the port's efforts to rezone roughly 840 acres near Clatskanie to expand Port Westward. Bernert said many of the companies considering new plants at Port Westward get tax breaks through enterprise zone benefits by promising new jobs. "Half of [the employees] come from Washington, but the tax break is coming from Columbia County," Bernert noted. "The company is under no contractual obligation to hire local people." "When I hear people complaining about the people coming in from Longview, that makes me mad," Alta Lynch retorted. "We have people who commute out of the county." Others suggested there needs to be better job training in the county to ensure residents have access to good-paying jobs. "I wish we could start focusing more on our workforce. If we have people in this county who are dropping out of high school, it really doesn't matter what jobs are available because people are going to come in from out of county and take those jobs," Greg Pettit said. Pettit suggested protecting and enhancing the county's natural beauty could draw people to live and work in Columbia County. "The strongest asset you've got is a nice place to live," he said. Ericksen chimed in frequently, addressing criticism and trying to answer questions, along with Lichatowich. "I'm being more mindful of the fact that whatever we do, it will impact the transportation plan of the whole county," Ericksen said.